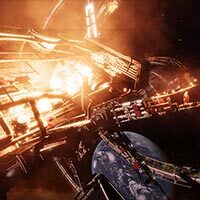 With many new Alpha clones coming to New Eden, CCP is looking for a new way of PLEX distribution. They find the current system too cumbersome and the currency change between PLEX and Aurum too complex so the whole thing is getting reworked! With Ascension behind us, and a wave of Alphas now living as permanent residents in New Eden, CCP has been looking for ways to improve the PLEX experience for Alphas and Omegas both. PLEX (Pilot’s License Extension) has been an important part of the EVE ecosystem for many years now. It’s been great for EVE because it allows players to trade their time and money in whatever way they like without hurting the integrity of our shared universe. Over those many years, and especially now due to Clone States, CCP learned a lot about PLEX and think they can make improvements without disrupting the core design. The first component of the plan is focused on making PLEX more flexible. Currently, PLEX is rather large. By always existing as a one-month chunk of subscription time, PLEX can be cumbersome to buy and trade. 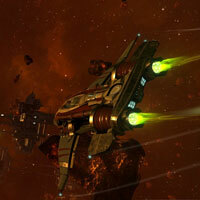 CCP thinks it would be great if it could be broken into smaller units that fit player's needs rather than always being bound to the size of 30 days. With that in mind, the first planned change is to convert every existing PLEX into 500 PLEX. After the change, anything you could get for 1 Plex from CCP will instead require 500 Plex. This new PLEX granularity will allow selling of smaller PLEX packages, and allow players to trade whatever amounts they like with each other. PLEX needs to be easier to find and understand. To make it easier for players to find out what PLEX is and what it can do, CCP is introducing the PLEX Vault. The Vault is an inventory location, shared across all characters on an account, that stores PLEX and shows common actions you can take with it, as well as how you can get it. Like any other inventory location, the Vault will appear in the list of locations to the left and you can drag PLEX in and out of the Vault to any other inventory you have access to. PLEX is the only item that can be kept in the Vault. When you purchase PLEX from CCP, it will go straight to your PLEX Vault instead of the Redeem queue. The PLEX Vault will allow you to move PLEX safely throughout the universe rather than having to move it in a ship. It will still be possible to carry it in a ship like any other item if you want, so if you have an urge to fill a shuttle full of PLEX and tour low sec just drag PLEX out of the vault and into your cargo and you’re good to go. We know how much you love it when ships blow up with piles of PLEX inside, we even might understand why, but, we also don’t want new PLEX users to be losing their PLEX before they can trade it because they didn’t know how to get to market safely. 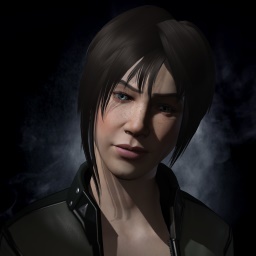 With a much smaller PLEX, CCP can easily set up the New Eden Store catalog in PLEX prices rather than Aurum and let you use PLEX from your vault to buy things there. The coexistence of PLEX and Aurum has always been a heavy burden on anyone who wanted to buy something from CCP. Whether you just wanted a SKIN or you wanted to buy the smartest item to trade with other players to get ISK, you had some math to do. With Aurum out of the picture and PLEX taking over in the NES, buying should be much less confusing. On launch day for this feature all existing Aurum balances above 1000 Aurum will be converted to the new PLEX. Today you get 3500 AUR for every PLEX you convert to Aurum, and this is the same rate CCP will match to convert Aurum to the new PLEX. This means that if your Aurum balance on launch day is 1000 Aurum or more, it will be converted in its entirety and you will get 1 PLEX for every 7 Aurum. Converting only Aurum balances that exceed 1000 Aurum will lower the total amount converted and decrease the risk of a rapid inflow of PLEX destabilizing the market. Also, the dev team will keep a careful eye on things and be ready to intervene in other ways if necessary to protect the PLEX ecosystem and your investments in it. Q: When will this feature launch? A: We don’t have an exact date yet, but this feature is in active development now, and you can expect more detailed information on the launch timeline at EVE Fanfest in early April. Q: What will happen to existing market orders for PLEX when the feature launches? A: We will cancel all orders and repay fees, as usual when we make a major type conversion. Q: Will market histories reflect the change in PLEX value? A: New PLEX will be a new item type, getting its own graphs and history data starting from day one and leaving old PLEX data unaffected. Q: Can I still buy Aurum? A: Yes! All current Aurum packages will be available until near launch of these changes, after which we will close Aurum purchasing completely. Q: Can I still buy PLEX? A: Yes, until launch of these changes PLEX will continue to work exactly as today, and be offered from CCP at same rates and packages. Any PLEX you own on launch of these changes will be converted to 500 of the new PLEX. Q: Why are you only converting Aurum balances above 1000? Q: For balances over 1000, will the entire balance be converted or only the amount exceeding 1000? A: The entire balance will be converted. For example, a balance of 1050 Aurum would be converted into 150 PLEX. Q: Will prices change in the New Eden Store? A: Prices may change after the conversion from Aurum to PLEX as not all prices will be possible to convert at even numbers. Overall this change to PLEX is not made with the intention to change the price of products such as Skill Extractors in the New Eden Store, and we will define new pricing in PLEX to match the current pricing in Aurum.